✔Access to all features and controls. 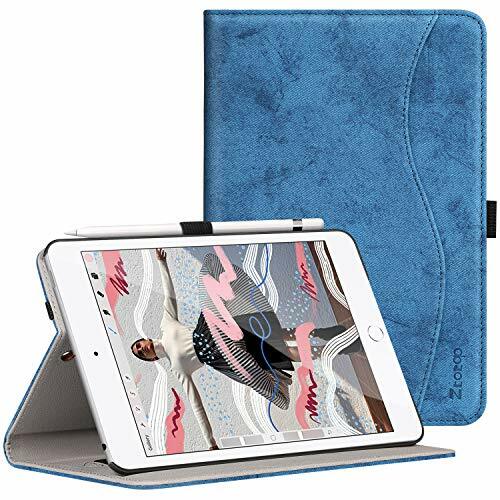 ✔Made from denim style quality PU leather and soft TPU back cover. ✔Automatically wakes or sleep when the lid is opened and closed. ✔Built-in Apple Pencil holder grabs your Apple Pencil effortlessly and easily to carry your Apple pencil with your device. 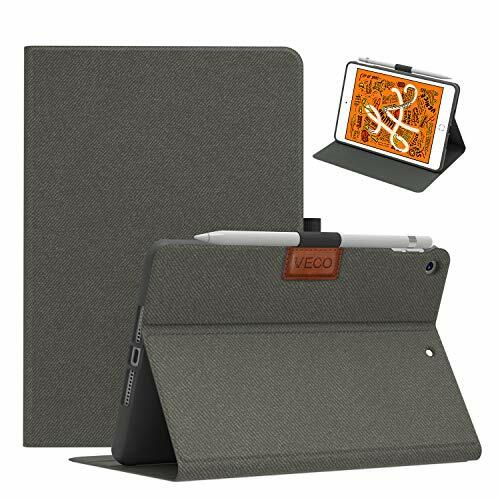 ✔Back cover is honeycomb construction will help your iPad cooling soon. 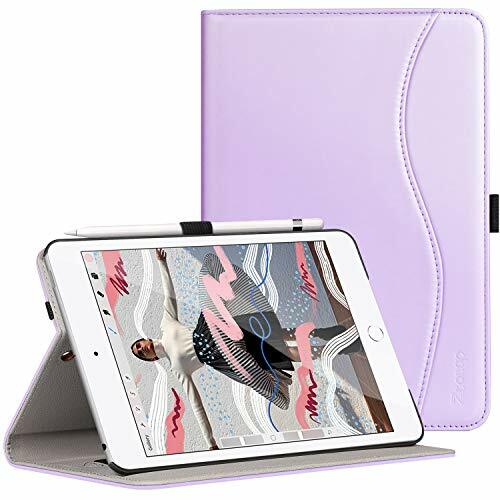 Note: iPad or Apple pencil are not included. One-year warranty service,100% customer satisfaction gauaranteed, 24 hrs email support. Q:How to check the setting when the auto sleep/wake function can not work? A:Please open setting, select “Display & Brightness”, and then find the “Auto-Lock” to open “Lock/Unlock”. A:No, there are precise cutouts designed for every bottom and ports, including camera. Thus you don’t need to remove the case when taking photos. iPad mini 5 case:Designed specifically for New iPad Mini 5 7.9″ 2019(A2133 / A2124 / A2126 / A2125). Elastic pencil holder :Hold your Apple pencil firmly to avoid accidental drops. 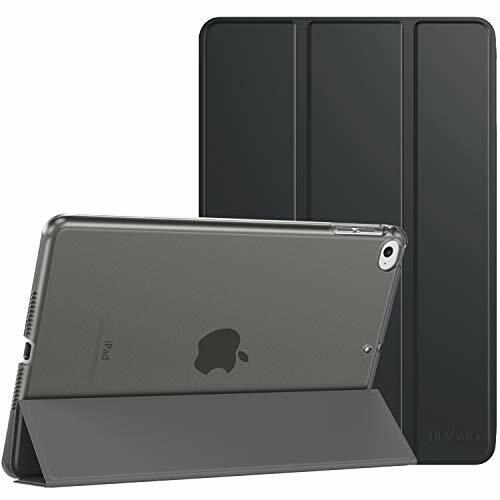 Full body protection:protects front,back, edges and corners of iPad from shocks, drops and impacts. Imitation denim design: surface is scratch-resistant, anti-crease, non-slip, and sweat-proof. Honeycomb construction and Auto-Wake/Sleep – release over 80% heat and extend lifespan by 30%.